A 38-year-old man has been arrested after an alleged sexual assault on a boy in a Burnley supermarket. Police issued a CCTV appeal after the alleged assault on a 7-year-old boy in Sainsbury's in Active Way, Burnley on Sunday November 25. The boy was in the toilets at the Sainsbury’s supermarket on Active Way when he was approached by a man and sexually assaulted..
Police launched an investigation and released CCTV images of a man they wanted to speak to. 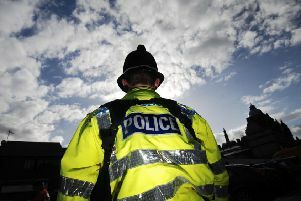 Yesterday evening, police arrested a 38-year-old man in connection with the incident. It is understood the man was arrested after a member of the public identified the man from the CCTV images. Burnley Police were quick to thank the public for their help. A police spokesman said: "This was as a result of your responses on our social media appeal so a huge thank you goes to everyone who commented."